You must be a member of the Dubai I Love Italia Group to attend this activity. Would you like to join this group? It's been a while... but we return reloaded now! 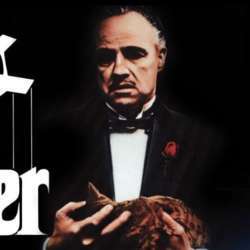 Let's watch The Godfather one more time but with a live orchestra!!! And in the Opera House! Is this special or what... ?!?! From Protected content website: "Relive this chilling portrait of the Sicilian clan’s rise and near fall from power as a live symphony orchestra performs Nino Rota’s Oscar®-nominated score live to picture: The Godfather in Concert. This ten-time Academy Award® winning film features Marlon Brando as the Corleone family patriarch, accompanied by career-making performances from Al Pacino, James Caan, and Robert Duvall. A concert experience you can’t refuse!". Early Bird 20% off on top two categories is now available until 31 January.